Can Flies Harass You in the Winter Months? If you think about flies, you probably imagine a summertime scene. A picnic, perhaps, lots of sunshine, and those irritating flies buzzing around you trying to get a look in. 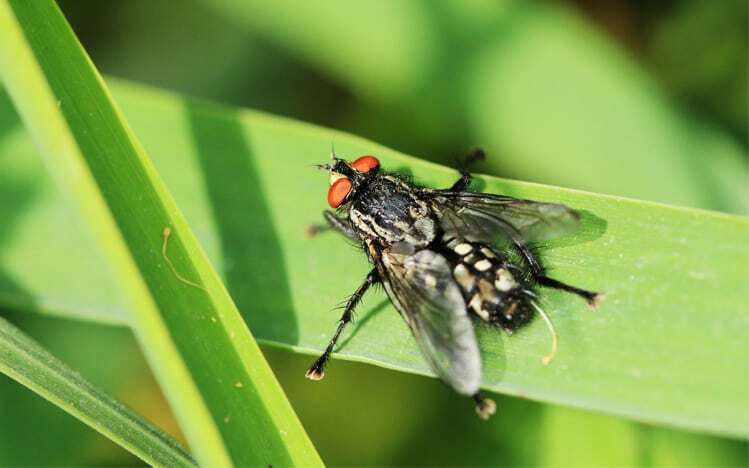 But while flies can be annoying during the summer months, they can also cause problems for you when the days get shorter and the temperature drops. From September onwards, cluster flies go into hibernation. As the kids go back to school and we all prepare for the shorter days ahead, cluster flies start congregating around windows and any other gaps they can find. They’re looking for somewhere to bed down for the winter. You might be forgiven for thinking the flies have all vanished by this point. For some people, they have. Some may not see another fly until the following March or April. However, if some of those flies have found their way into your home for their hibernation period, you can expect to see them from December onwards. There is good reason for this. As the central heating goes on and the lights stay on longer, the cluster flies are disturbed. Some may wake up, thinking it is time to get going once more. They might buzz out from their hiding places, causing a nuisance around windows, doors, and lights. Cluster flies can get into your home through some impressively tiny gaps. This can make it difficult to go down the prevention route. One or two flies won’t be too bothersome and can be dealt with using a standard fly spray. Follow the instructions and don’t spray near pets or humans or inhale the spray. If you find you have a larger infestation, which can happen in loft and attic spaces, it is wise to call in the pest control experts. If a loft space hasn’t been used in a while, cluster flies can easily get in and make their home up there in the thousands. That’s not something a can of fly spray will deal with. There are insecticides, smoke bombs, and fumers that will get rid of the problem, although they should be used by professionals who are trained in proper implementation. Watch out for those cluster flies this winter and make sure you know how best to deal with them if you find lots of them in your home.